The first thing we do when Disneyland Paris opens is rush to Thunder Mountain Railroad, only to discover that it's closed. The girls are disappointed, but we say, “We’ll do other things. We’ll still have fun.” We are wrong. The Steamboat is also closed, and the only attraction open in Frontierland is the Haunted House, which lets the girls down yet again: no ghosts, which are kind of the point of the attraction. Since Frontierland is a bust, we wander into Adventureland to go to the Pirates of the Caribbean, which is also closed. We turn to the pirate ship but it is -- you're sensing the pattern here -- closed. Finally, in desperation, we go through the Treehouse, which appeals to nobody, simply because we cannot find anything else to do. By this point, we’ve been in the park a couple hours and the girls are complaining they're so bored they wish they had gone to school instead of playing hooky with us. I've never heard them use the word "disappointed" so much in one day. My friend Andi gasps audibly when I tell her about our opinion of Dismalland Paris: "It's like bad-mouthing Santa Claus!" Let me tell you, if it were a child, Dismayland Paris would get a lump of coal in its stocking. Trying to get at least one thing right, we head to Discoveryland to go on Space Mountain. And Space Mountain in Disorganizedland Paris is, in fact...drumroll please...open! But we are informed the girls are not tall enough to ride, because the Space Mountain here is "Mission 2" and has a loop in it and a 132cm height requirement. At this point, the girls just break down crying, Gigi especially, and saying how awful this Disneyland is. It's Disappointeyland. We have a serious family discussion about whether we should just ask for our money back and leave. But since we've taken the girls out of school already, we decide to try again. We walk through the passageway into Fantasyland, where we try to re-excite the girls by telling them there is a new attraction they could try – Alice’s Labyrinth. Which, you are not going to be surprised to hear, Disorderland has closed. We then go on basically every open ride/attraction we can find, even the obvious dogs. We are desperate to find something to do. On the Buzz Lightyear Laser Blast, the ride breaks down and has to be stopped about four times while we are on it. We wait on the Peter Pan Flight line over half an hour and just as we get to the front, it breaks down for about twenty minutes, and I must tell you that I honestly think, "Well, the good thing is that it's taking up more of our afternoon." When it does restart, the squeak of the equipment is almost unbearable. 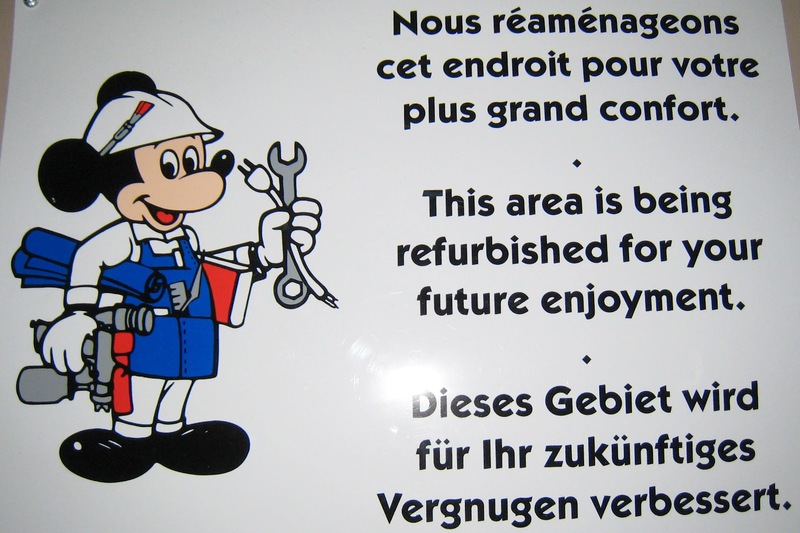 Welcome to Disrepairland, the Crappiest place on Earth! We trudge through the Nautilus (at this point it feels something like the Bataan Death March), with the girls complaining how boring it is and – even worse – there is such ugly construction around it at the time, our 6-year old suddenly transforms from an innocent child who believes in magic to a sullen cynic: “It’s not a real submarine. The octopus is fake. There’s not even water outside the boat.” It's Disillusionmentland. There are a few good moments. The highlight of the lowlights is driving the cars at Autopia and spinning till the point of nausea (well, Anthony, at least) on the teacups. And I do have some perspective: Having a bad day at Distraughtland is not on par with, say, losing a loved one or breaking your collarbone or being on the real Bataan Death March. But Gigi shakes her head sadly at one brief moment we are actually enjoying ourselves, and points out, accurately, "It's sad that what we'll remember of this day are the bad parts." Other attractions are just plain absent. Paris has more space, but far fewer attractions: where's Mr.Toad’s Wild Ride, the Matterhorn, the Jungle Cruise, the Tiki Room, Pixie Hollow, or Splash Mountain? Instead, they just have bigger walkways. And crêpes, women in stylish Minnie Mouse scarves, and fake European village architecture (oh wait, that's at all Disney parks, and we can now the see the real thing just outside our door...). It's France, after all, so there's also a little extra emphasis on Ratatouille here. Mmm, cheese. 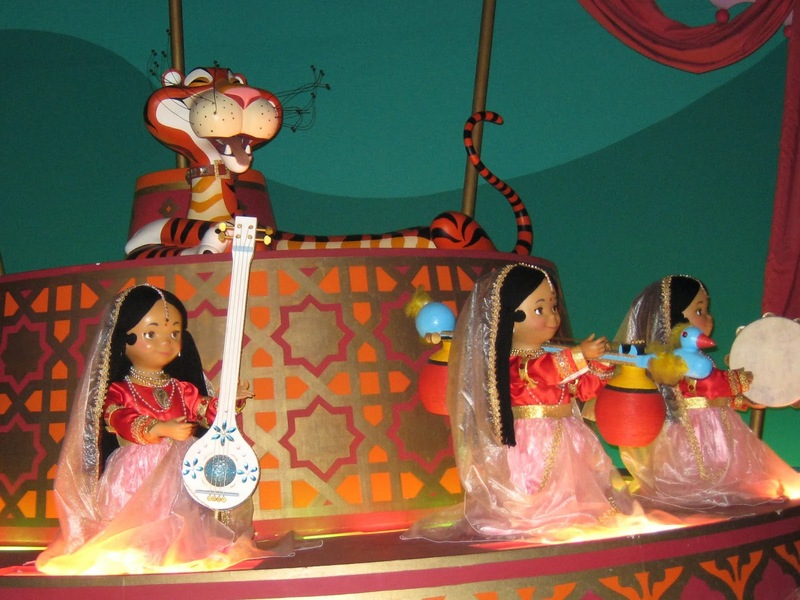 Now that they've been to the real Morocco and India, the Disney version just doesn't seem so exotic. According to the lyrics from that Disney film, the Lion King, "Hakuna Matata...means no worries for the rest of your days. It's [a] problem-free philosophy." No worries and problem free, as long as you don't spend the day in Disasterland Paris, that is. But the one good thing about the day being this disastrous is that we actually complain, and they give us free future tickets. So, almost two years later, we get to head back for free. 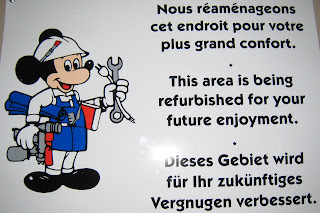 And this time, we know enough to drill down into the website to find about attraction closures before we go. We actually get to ride Thunder Mountain Railroad -- twice!, and it's bigger and better than the one in California. Success! Gigi is now big enough to ride Space Mountain Mission 2. Pippa misses it literally by a hair: the guy working there won't let her on the ride after he pats down the hair on her head and slides his ID card between it and the 132cm mark. She cries for a moment, but they're the only tears all day. Still, the girls are done with the Disney side after just a few hours, but we have a 2-park pass and head over to the Universal Studios side. 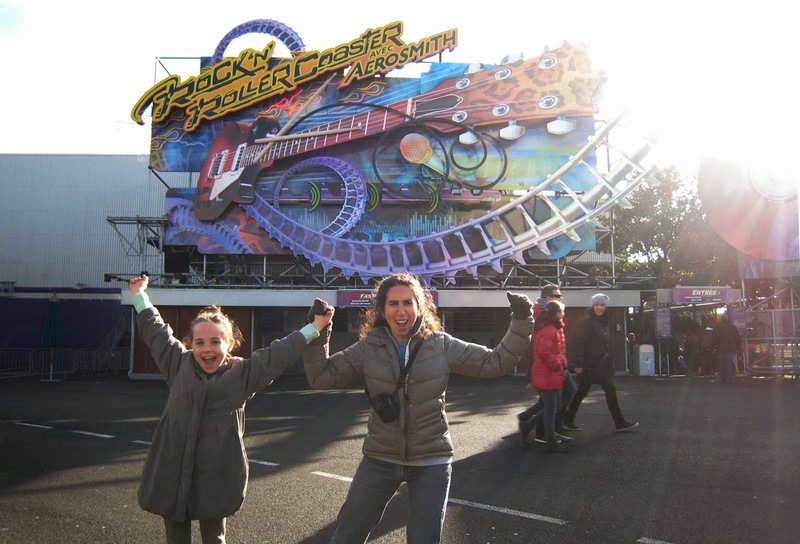 And it turns out Pippa is tall enough to ride the Rock 'N Roller Coaster there, which has a height minimum of 120cm despite its loops, twists, and turns. I go on it, against my better judgment, in order to be an even-numbered group and to keep Gigi company in her seat. I spend the entire light-flashing, loud-music, twisting-turning ride with my eyes closed, doing deep yoga breathing. I'm not scared of crazy roller coasters, but I get motion sickness really easily. So after the ride, we take this victory photo: Pippa celebrating her very first-ever loop-the-loop roller coaster ride, and me celebrating my very last. Sans puke! And all of us are celebrating a pleasant day at Disneyland, the second time around. Cendrion is a raw goat's milk cheese that's ashed and turns out a lovely black and silver color. It's an unusual, hard-to-find farmhouse cheese made by Hervé Chevalier, who raises his goat herd in Rudelle, in the department of Lot, which is in the Midi-Pyrénées, in AOC Rocamadour territory. Cendrion is tangy, creamy, and delicious. It's about the size of a hamburger patty but tasted oh-so-much better, in my opinion. A little acid zing at the end, and make sure you eat the rind for the added textural element -- a little chew on the outside with a firm creaminess on the inside. The connection here is a homonym. The cheese is called Cendrion because it is ashed -- or cindered, if you will -- with cendres. Well, guess where Cinderella gets here name? And guess what she's called in French? Cendrillon, prounounced exactly like Cendrion: both of them "son-dree-ON". But don't mix it up with the cheese Cendrillon, which is a brick-shaped, ashed cheese made in Quebec, Canada. 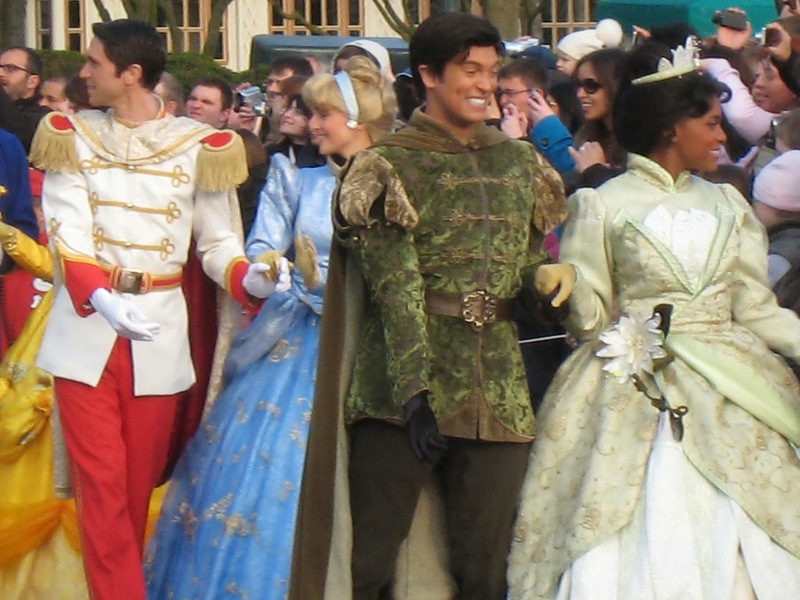 And speaking of homonyms, in the traditional French story, since the 19th century, many French scholars have asserted that in the original version, Cendrillon wears slippers of "vair", not "verre" (meaning "gray squirrel fur" and not "glass"). Needless to say, approximately 100% of today's young French children don't know that, because they've been fully Disneyfied, and they would tell you the slippers were made of glass.